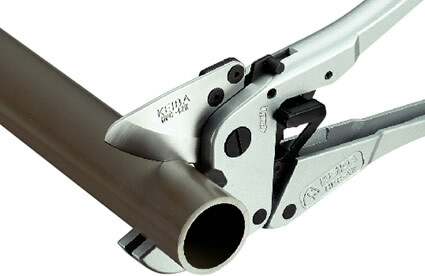 This is for cutting resinous pipes like PVC pipes. It can be easily operated by one hand because of the light body made from an aluminum alloy and one touch open system. With a special attachment, it can also cut a mole protector.